If you love magazines, you’ll love Readly! 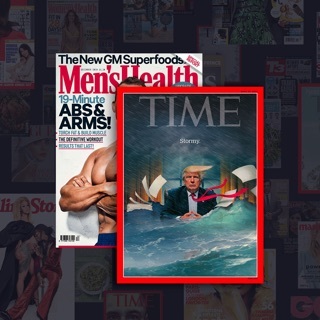 Download Readly now and enjoy all of your favourites and over 3,400 top magazines - all you can read, all in one easy-to-use app. It’s like having a newsstand in your pocket! Get unlimited all-you-can-read magazines for a small fixed monthly fee. No wi-fi? No problem. Just download magazines and read offline anywhere, anytime! Favourite, Bookmark and Share – Favourite and bookmark to save magazines for later or share with your friends! Crosswords – Brain train with crosswords, puzzles and sudoku without leaving the app! Optimised for mobile reading - NEW! 1. Readly makes commutes bearable again. Enjoy a good read and keep boredom at bay! Magazines are now mobile friendly and can be downloaded to read when there’s no Wi-Fi. 3. Take home comforts on holiday. Catch up on the latest gossip magazines over a drink. Don’t worry about lugging hundreds of glossies to the beach, just take your phone or tablet! 4. Best value for money. Get all of your favourites and over 3,400 magazines in one subscription. Did we mention you can share Readly on up to 5 devices AND access all the back issues? 5. Be at the start of the magazine revolution. Excited? You should be! Don’t take our word for it, download the award-winning Readly app and try it now! What are you waiting for? A Readly subscription gives you full access to all magazines available in your region. It will automatically renew every month on your iTunes account until you decide to cancel. You can do this at anytime in your Account Settings, it’s up to you to decide. Please cancel your subscription 24 hours prior to the next billing period to avoid charge. Thanks for using Readly! This update introduces the ability to hide titles using the plus button and manage your hidden titles under My content. If you like Readly, please consider leaving a glowing App Store review. I tried Magzter but found their content to be not as good, also they constantly bombard me with notifications, some of which were for unsuitable content. Readly is a much more friendly app, better layouts and a proper favourites system. Oh and it’s great value too. I am beyond impressed with this app. So many mags, so little cost. Great value for money with wide range of magazines. For what you'd pay for one magazine you get hundreds!